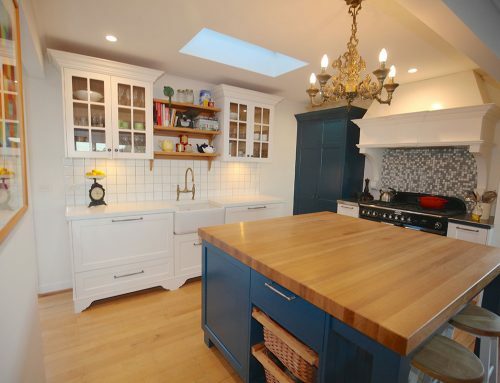 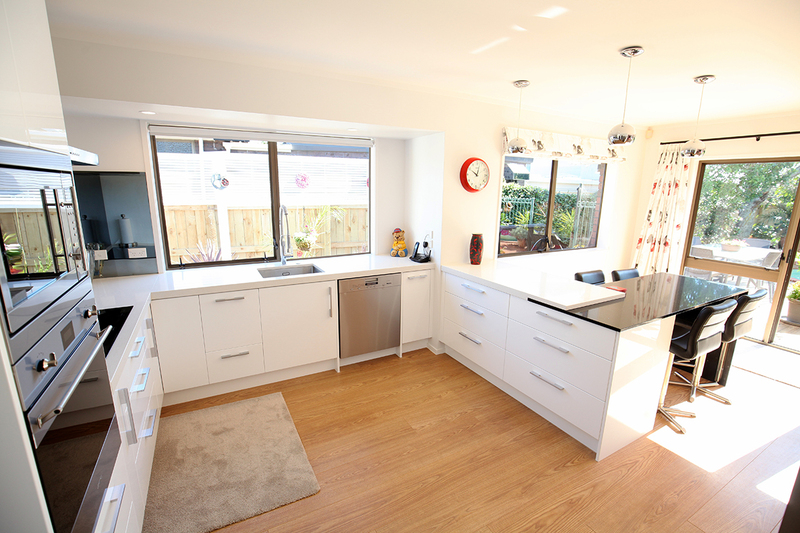 When the sun is shining in Farm Cove this kitchen & family room takes full advantage. 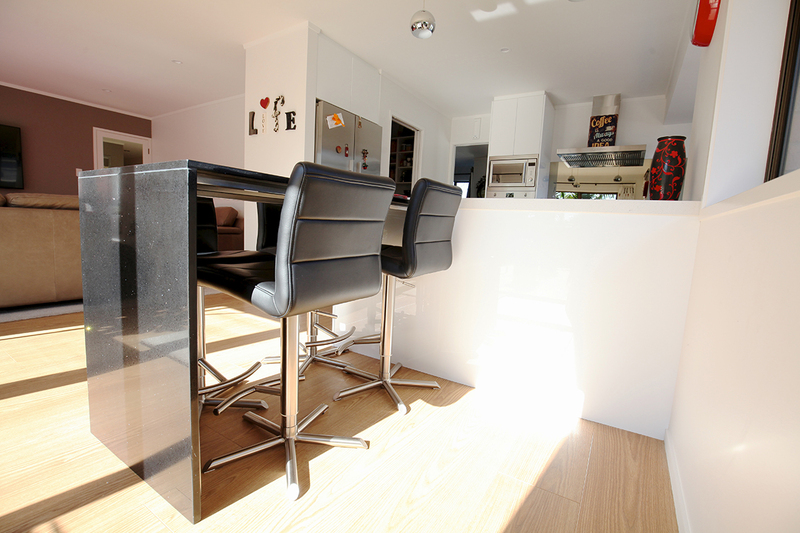 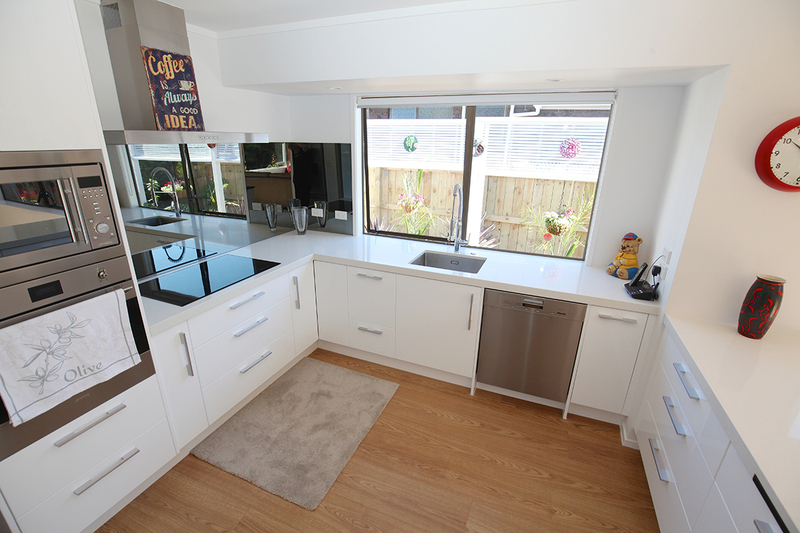 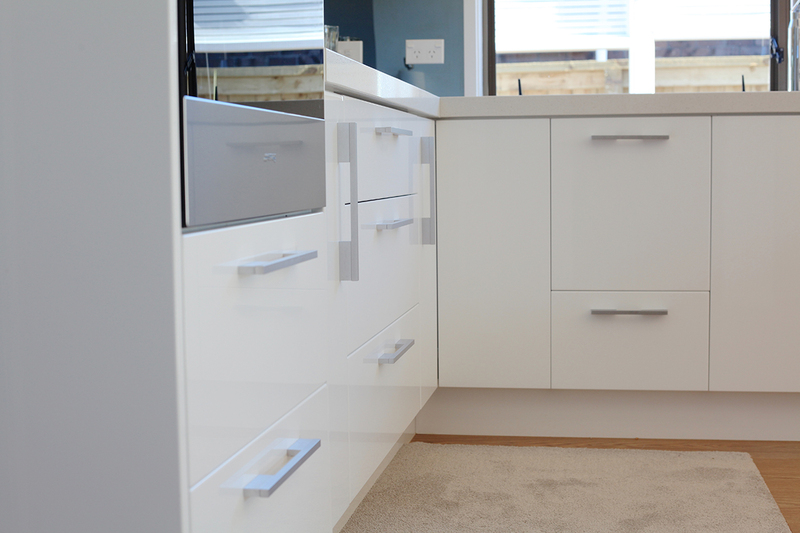 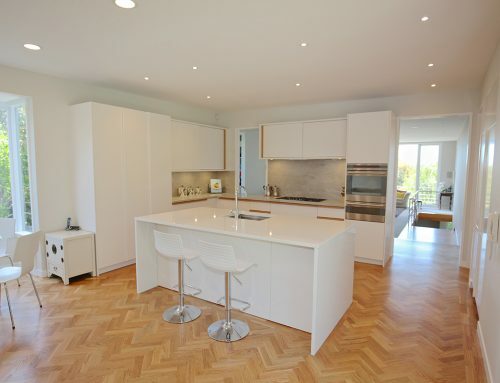 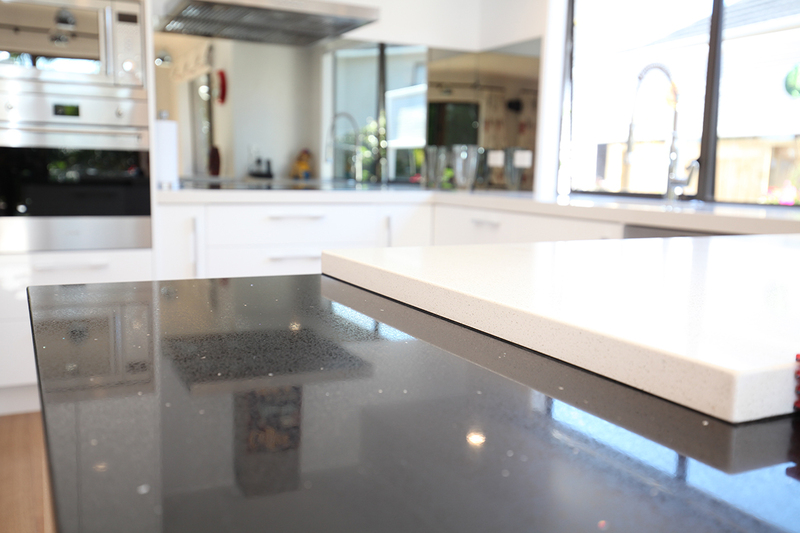 Opting for the White Gloss thermoform Dezignatek doors with Stone tops – 50mm Primestone Cardrona (white), helps to enhance this sun-filled environment. 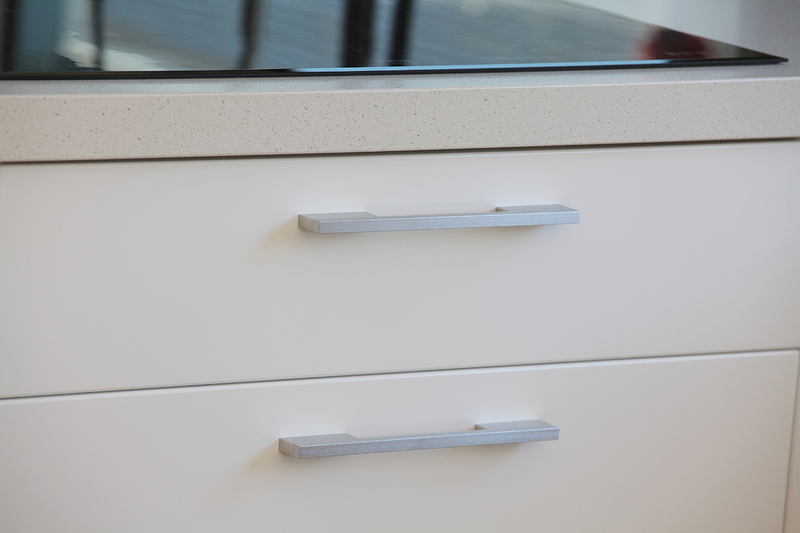 Introducing an informal dining/breakfast bar with the 20mm Primestone McKenzie Basin opens up and connects the kitchen to the living room. 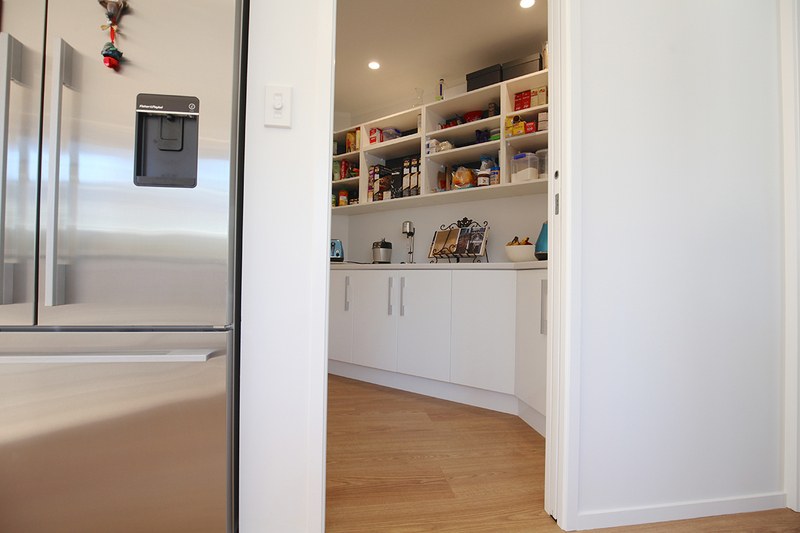 A Scullery was incorporated just off the kitchen with open shelving (feature back panels to Laser edge melamine shelving) and a laminate benchtop with Stefano Orlati Aluminium Brushed handles to continue the sleek design feel. 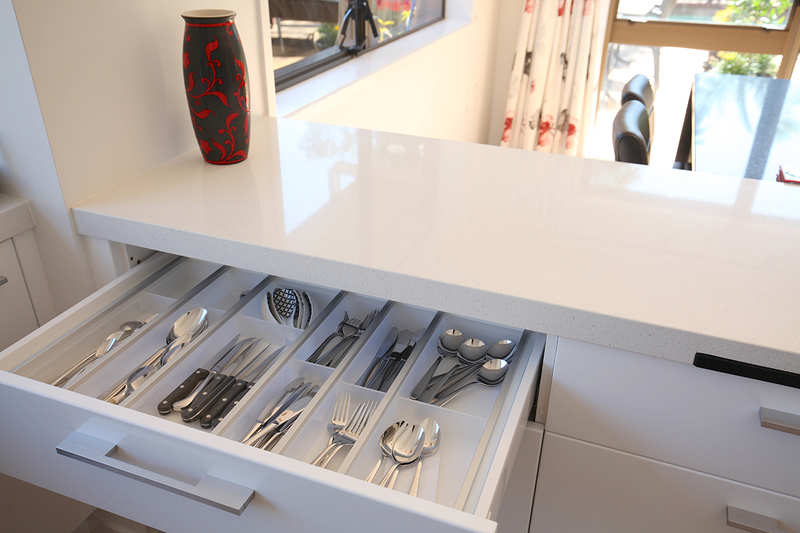 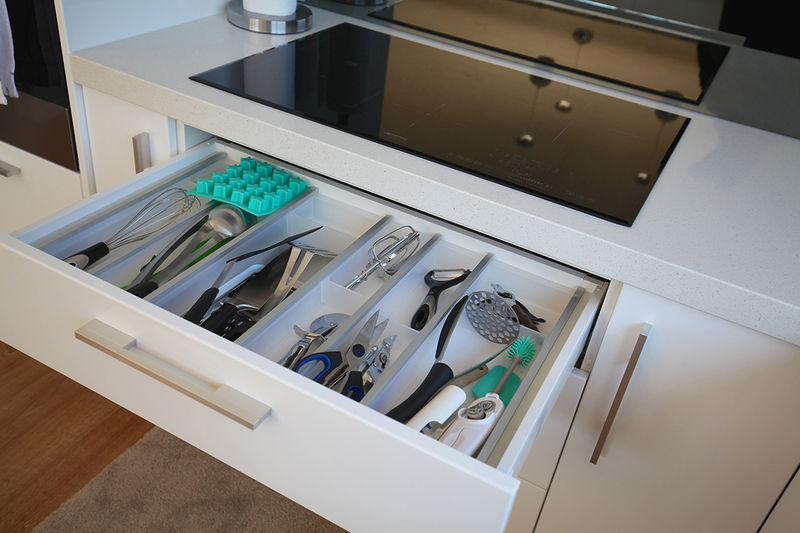 Creative Kitchens incorporated Hafele translucent cutlery inserts along with a Tray and chopping board pullout with utensil drawer for a functional, easy-to-use kitchen. 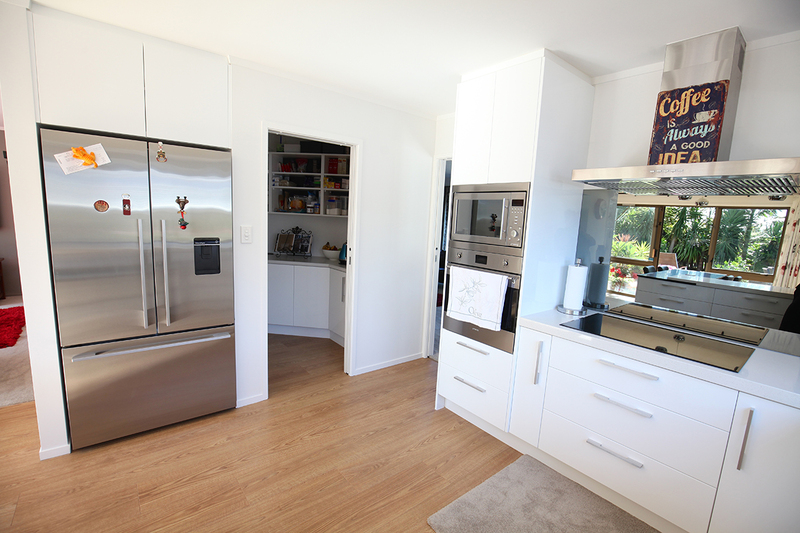 Smeg cooking appliances included an oven, microwave with the trim kit, induction hob and rangehood. 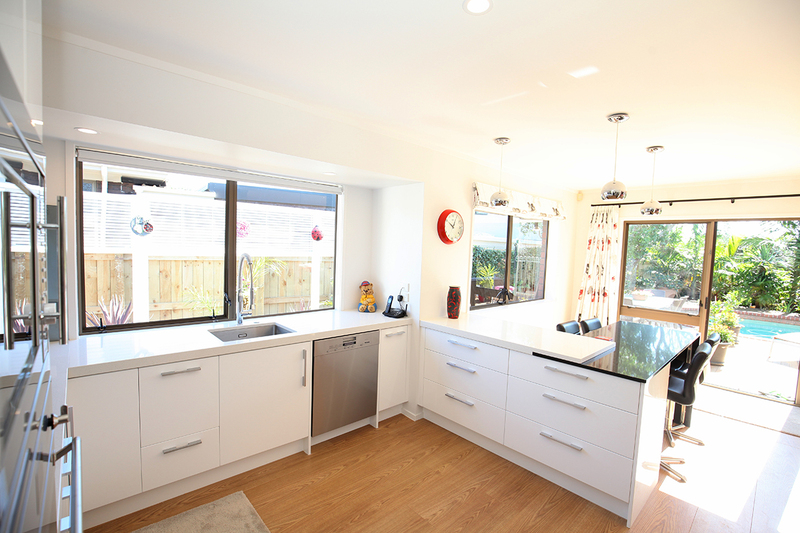 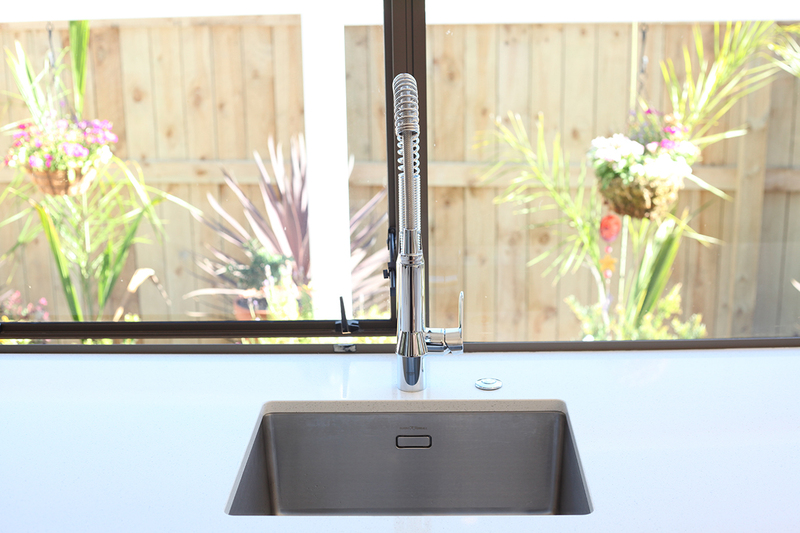 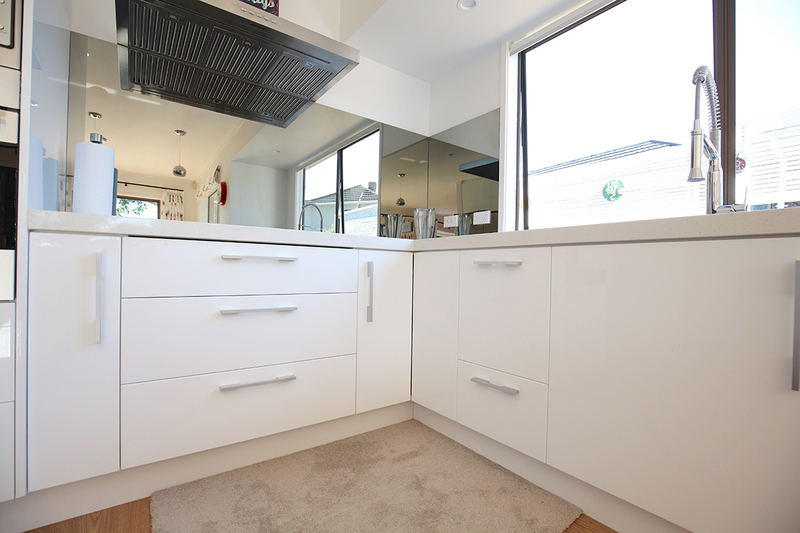 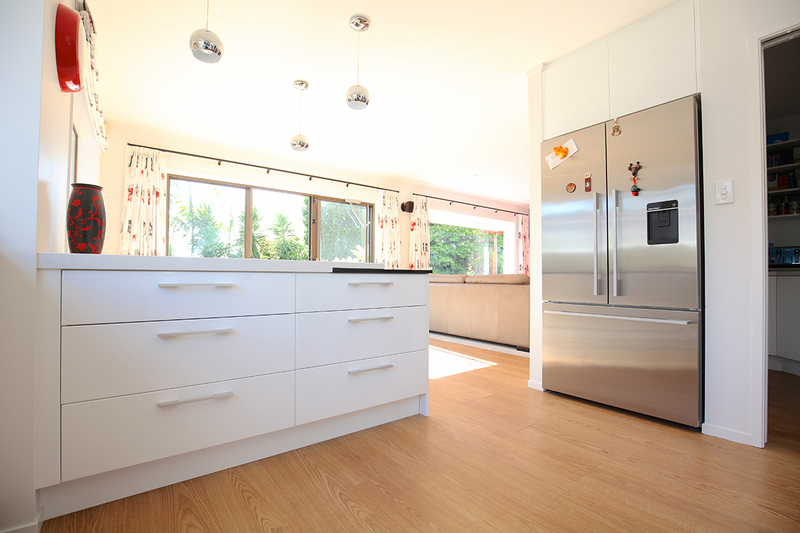 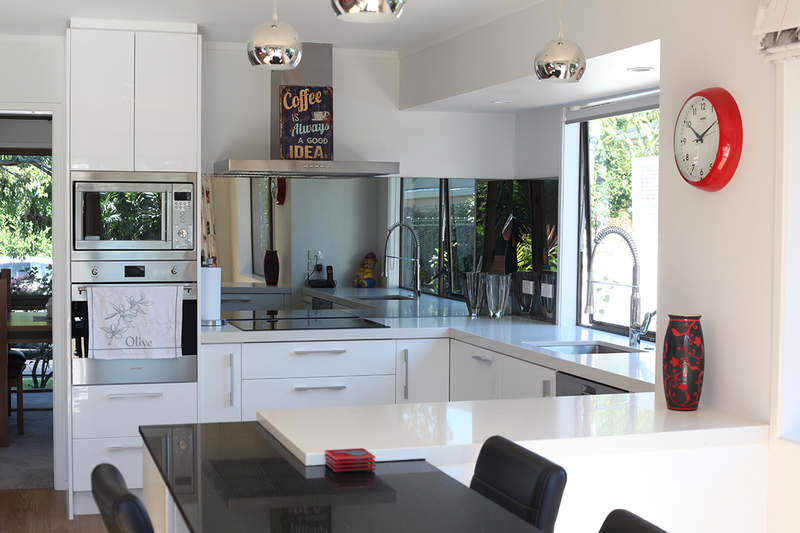 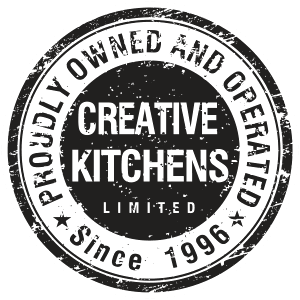 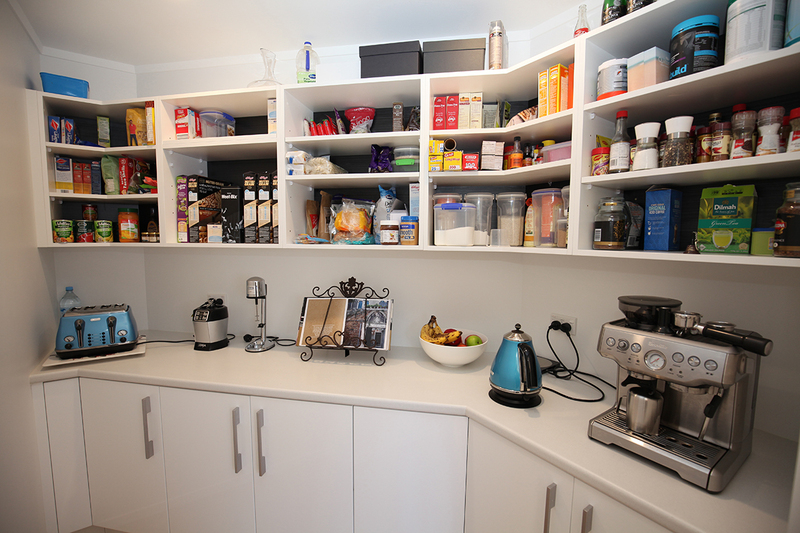 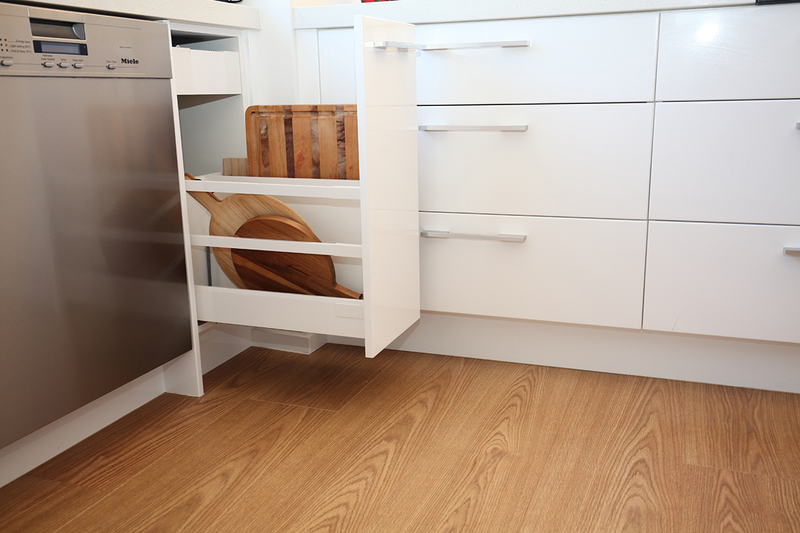 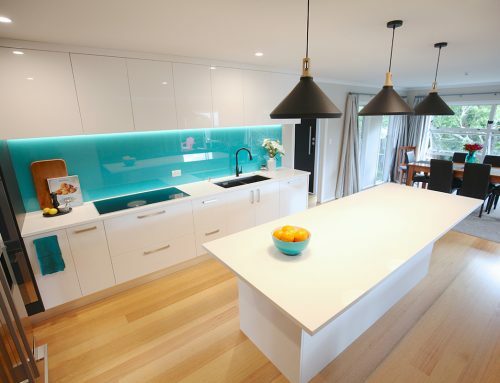 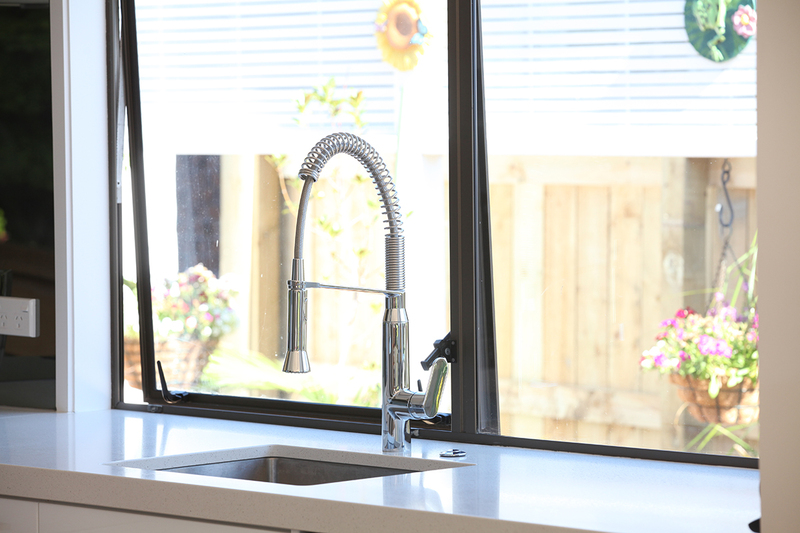 As one of Auckland's leading kitchen design and kitchen manufacturers, at Creative Kitchens we pride ourselves on superior kitchen design, high quality workmanship and an overall professional service.